Hosting automotive manufacturers such as Ford Otosan, Hyundai Assan, Honda Turkey and Anadolu Isuzu as well as tire industry, cord cloth, steel-cord plastic, rubber and paint industries, Automotive Supplier Organized Industrial Zone (TOSB), the province of Kocaeli draws attention as one of foremost automotive manufacturing and exports hub of the country. According to the data from Automotive Manufacturers Association (OSD), last year the total number of 629,092 vehicles was manufactured as 281,565 automobiles, 2,569 trucks, 289,897 small trucks, 353 buses, 53,806 vans, 902 coaches at the plants in Kocaeli. In this case, meeting 36 percent of the total vehicle production by itself, so 72 vehicles were manufactured per day in the city last year. 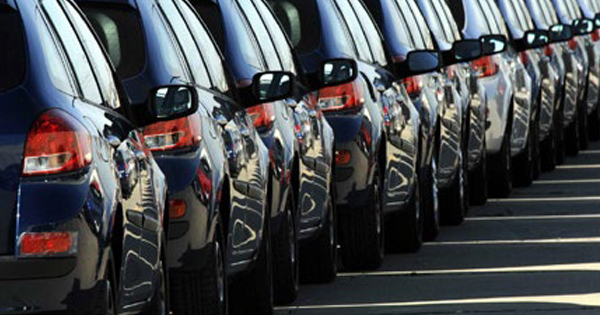 The number of 509,994 vehicles – which accounted for 81 percent of the total manufactured vehicles in the city – was exported in 2017. As for the share of the vehicles, which were manufactured in Kocaeli and shipped abroad, accounted for 38 percent when compared to overall Turkey’s exports. As Ford Otosan sustains its leadership among the firms in the city in production and exports, Hyundai Assan second, Honda Turkey third, Anadolu Isuzu fourth in these two categories. The total production of 4 automotive firms in the city surged 8.6 percent, their exports 9 percent over previous year. Honda Turkey topped regrading boosting its production performance as ratio with 86 percent rise to 28,742 units in 2017 over 2016 in Kocaeli. In 2016, exporting 2,914 vehicles, the firm boosted its exports 222% to 9,391 units in 2017. Settling on leader chair in production and exports, Ford Otosan increased its production performance 11.6 percent in 2017 year on year. The firm accomplished the total of 367,005 units as 25,844 automobiles, 287,355 small trucks, 53,806 vans at the plants in Golcuk and Yenikoy in 2017. As for the exports of the company reached by 295,521 units with 15 percent rise in 2017. Hyundai Assan exported nearly 90 percent to 204,382 units of its total production (226,979 units) at its plant located at Asim Kibar Organized Industrial Zone with 245 thousand production capacity last year. In 2016, the number of 535,039 unit commercial vehicles produced, in 2017 the production number raised 3 percent to 552,825 units; the exports surged 4 percent to 411,440 units in Turkey. The firms in Kocaeli accomplished 67.5 percent (373,371 units) of the total commercial vehicle productions, in exports 67 percent with 276,493 units only in Turkey last year.